Why You Need This: Did the electric starter on your Honda finally call it quits? The good news is that it can be fixed and our electric starter rebuild kit will make it better than ever. Our electric starter rebuild kit fits Honda CL / CB350, CL / CB360, CL / CB450 family of bikes. 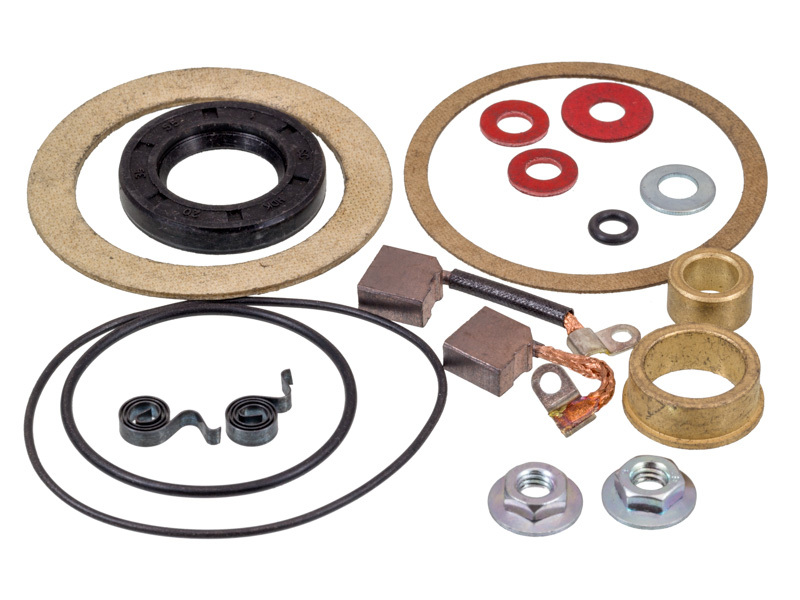 If you are looking go for kick start only our electric starter removal kit is what you need. Installation Tip: Lubricate the armature bushings with some bearing grease when putting everything back together. A little clear nail polish will help seal any exposed copper winding. Kit was amazingly complete and even as a beginner ones able to rebuild my starter! Great resource for guys like me who live to ride old bikes and keep repair bills to a minimum!